NEW & IMPROVED WIDER WALKWAY. 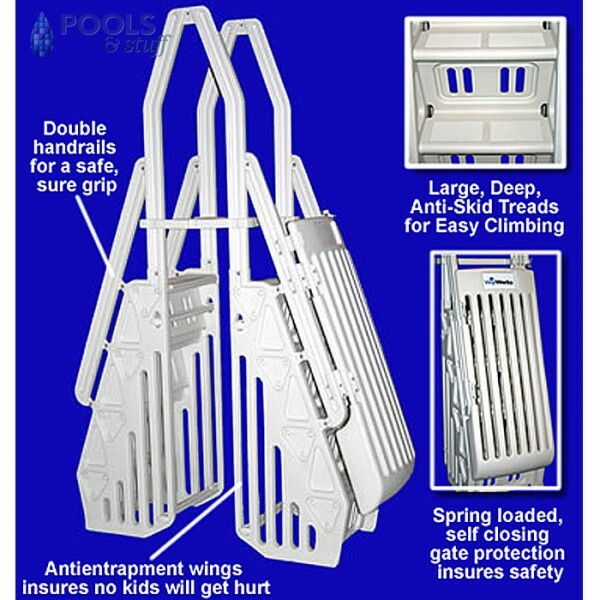 THE BEST FEATURES OF A POOL STEP AND LADDER COMBINE FOR SAFE, EASY USE OF YOUR POOL. This super-strong entry system is a hybrid between a ladder and step. It features the ease of climbing like a step with the 7-1/2” deep non-skid foot treads, yet only consumes a mere 22” of swimming space in your pool. So you get the ease-of-use of a step combined with the unobtrusiveness of a ladder. 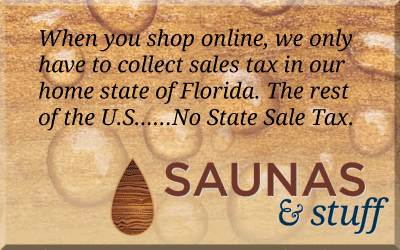 The entry system is made from rugged resin that is U.V.-protected and maintenance-free. Double extended handrails allow even small children to easily exit the pool, while a top platform protects your pool’s top rail.All treads and platform is non-skid for additional safety. The Neptune Entry System is adjustable to fit pools from 48” to 56” in depth, and meets all national and local codes for entrapment. The walkway has been widened by 3 1/2" for to allow for easier entry and exit. The outside ladder has a self-closing gate to bar entry from little ones or unauthorized swimmers. Side wings protect kids from becoming entrapped under the stairs, preventing accidental drowning. These side wings are also slotted for better water flow and chemical distribution throughout the pool. The unique snap-lock construction of the Neptune system makes it easy to assemble, while it is strong enough to hold up to a 300 lb. swimmer. Install the Neptune Entry System on your pool this season and make entering and exiting safe and easy!! Ships by UPS or FedEx Ground.